Looking for tips on how to find yourself affordable used cars and keep them clean? Learn how to do just that without even spending a dime! 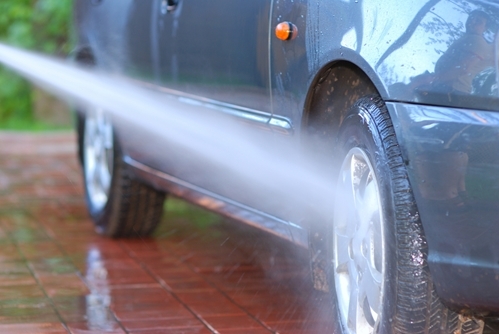 How often do you take your vehicle to a car wash service? Some of these services can be quite costly and add up over time. Did you know that you can keep your car looking brand new and super clean without breaking the bank? Not only are there easy and inexpensive ways to maintain a clean vehicle, but it will also keep the value and future worth of your vehicle exceptionally higher. The Auto Action experts on affordable used cars are here to help you get what you need to keep your car happy and clean. Not to mention cool you off on a hot summer day! That’s it! Those four easily attainable ingredients will help you maintain a professionally clean looking vehicle without the added costs. Our experts recommend that you wash your vehicle once every three weeks depending on the type of terrain or environment your car is used to driving in. Any special ways you like to clean your car at home? Let us know! We’d love to share any tips you may have on our website for everyone to read. As always, whenever you’re in the market for affordable used cars, contact the experts at Auto Action. If you have any questions or are looking to see what Auto Action currently has in inventory for affordable used cars and filling out the form on the right!